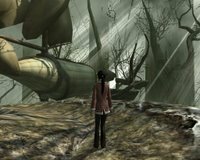 A sequel to The Longest Journey, Dreamfall had disappointed many fans of the original with a new control scheme and action-oriented gameplay. Presumably this decision was made with console owners in mind, though camera angle issues still exist. The surroundings are a delight to explore at first, but the amount of backtracking meant that most locations had to be revisited several times. Some puzzles are now cleverly disguised as stealth missions to prolong the adventure with mixed results. The ending is unsatisfying, and character models look absolutely nothing like the promotional materials found in most advertisements. If you're sticking around for the conclusion, then it'll probably be a rather long wait. Cliffhangers, unresolved plots and lengthy cutscenes are rarely considered ingredients for a well-written story. Bug-ridden and practically unplayable, Paradise is a rather forgettable effort by White Birds Productions. It's designer should be strapped to a chair and forced to play this turkey, just to understand what the fans had to go through. Both thumbs down. Mr. Sokal, the press called and they're asking for their awards back. A fairly large video download, but an educational watch indeed. 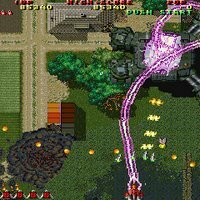 The SHMUP documentary is professionally done, charting the history of STGs from the Space Invaders era up to the latest danmaku offerings from CAVE. Subtitles are a must. Thankfully detailed instructions are available on how to acquire the free VLC player and use it together with the translation file. 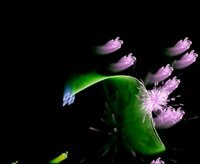 There are a few hints on honing your bullet dodging skills as well. Shoot the Core updated its database with nineteen new entries. 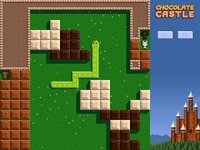 GameDev.net's latest Four Elements contest is currently underway. All entries are required to have all four of the following elements: Emotion, Economics, Emblem and Europe. The deadline is still a couple of months away, but I'm keeping an eye on this one. eXceed2nd-VAMPIRE- is a brilliant shmup by FLAT which mimics the polarity gameplay system made popular by Ikaruga. The color of the circle surrounding your character can be changed by tapping the C key. This will determine the type of enemy bullets that your ship absorbs while charging the special weapon in the process. Press the Z key to shoot and use the V key to bring up the pause menu. There are only four stages in this trial version, unfortunately. The 70MB file package may take a while to download, but rest assured that it's one shooter well worth the effort especially for fans of Treasure's classic. Click here to acquire the demo by selecting the first link. 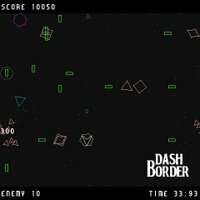 Dash Border is a rather unique shooter by Isshiki, creator of Vax-11, Z-LOCK and Area 2048 among others. The screen wraps around, enemies are shapes made out of simple lines and bullets can only be fired in a straight line. Much like Asteroids really, but that's where the similarities end. Playing the game cautiously won't get you far. The author encourages players to move the ship continuously, in order to gain momentum. Doing this rewards you in two ways. Your ship acquires increased firepower and the ability to pass through all enemies but not their bullets. The game is over if you fail to destroy everything within the time limit. 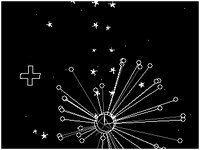 Use the arrow keys to control your ship, and press the Z key to shoot. The F1 key operates the coin slot. Ac!dbomb is the latest release from Mr. Chubigans, developer of Vivid Conceptions and Sandbox of God. The game has bomb defusing elements from Metal Gear Ac!d 2, in which you race against time to uncover the pistons hidden behind the tiles. Beams of light can be used to reveal the number of pistons underneath each line of tiles. 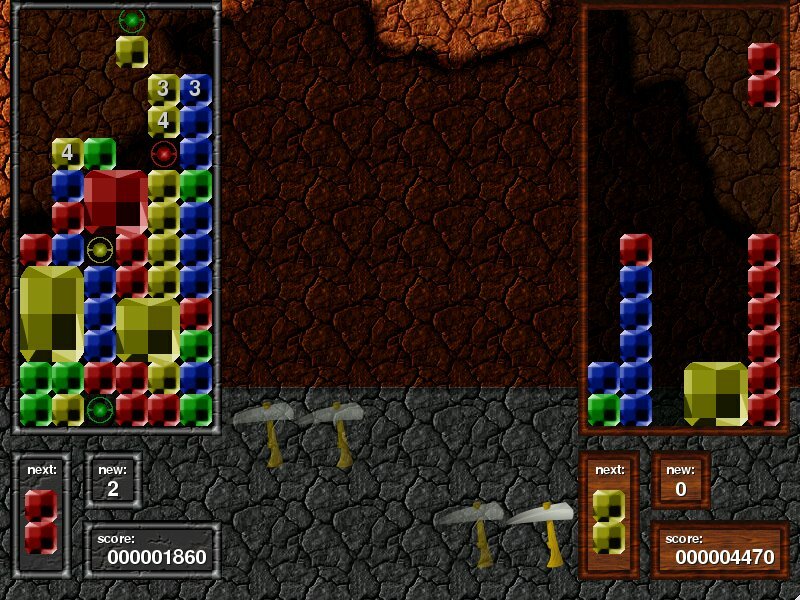 Just like Minesweeper, you can left click to mark a tile as safe or right click to designate one as a piston. The number of pistons in each level is displayed on the top right of the screen. The current build features only three levels, but more will be included when the full version is released this August. Yum Yum Remake is basically a reinvention of the original from Derby. The background color is a soothing blue, though the action is anything but. 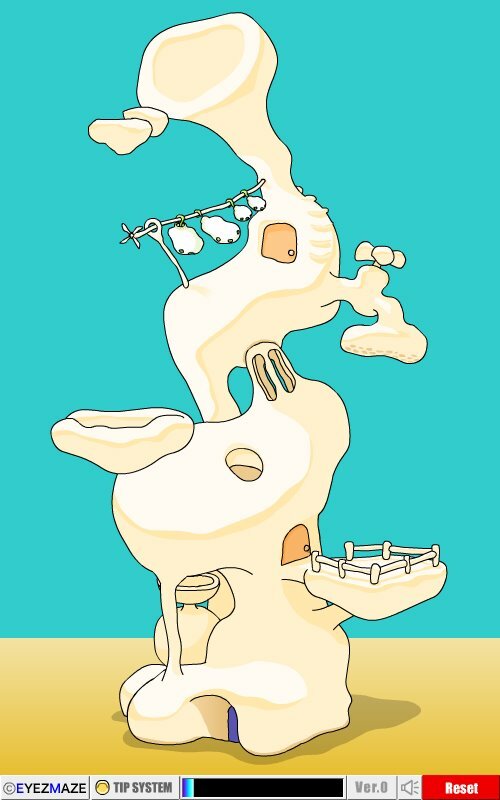 Point to a location on screen using the mouse, and the white little creature will speed towards it. 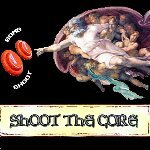 Left click to launch a projectile and right click to destroy the current one after release. 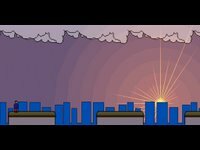 Press the middle mouse button to restart the level. What's Tony the Tiger doing in a match-three game? But seriously, this is one solid contender for the throne currently occupied by Zuma Deluxe. Probably what most matching games do not have is a lovable mascot, and Bengal could be a big hit with kids. 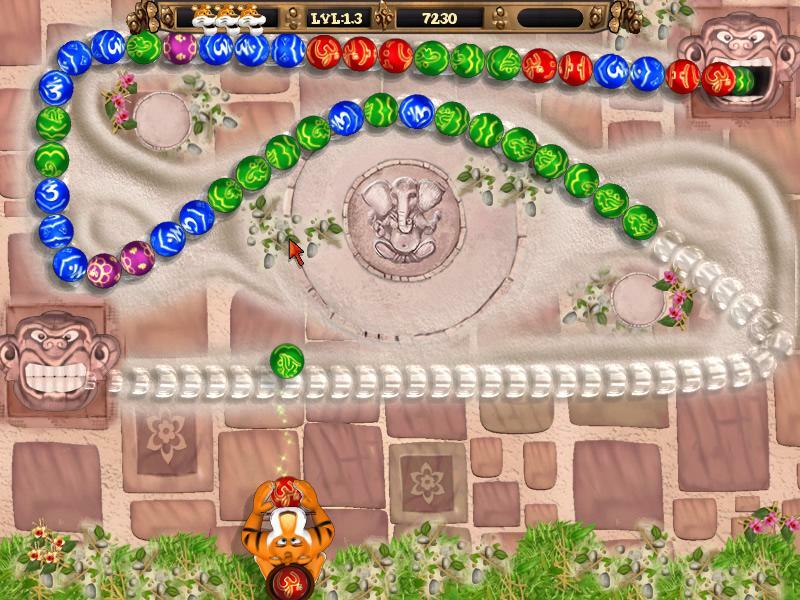 Bengal - Game of Gods is more animated than it's cousins although gameplay is basically the same as the rest of them. The objective as usual is to match three or more balls of the same color to remove them from the playing field. Just left click to shoot, and right click to swap balls. You can hit a gold monkey that pops up from time to time with a ball to score extra points. The game ends if a ball touches the monkey insignia with a gaping mouth. Angry, Drunken Dwarves is basically a remake of Capcom's Puzzle Fighter. There are a few features missing from this effort, for example the on-screen representation of characters and extra animations for breaking gems. Much like Puyo Puyo, your task is to arrange each piece to form larger squares or rectangles whenever possible. These crystals can only be destroyed by using break gems. Chain combos to send counter gems to your opponent's play field. 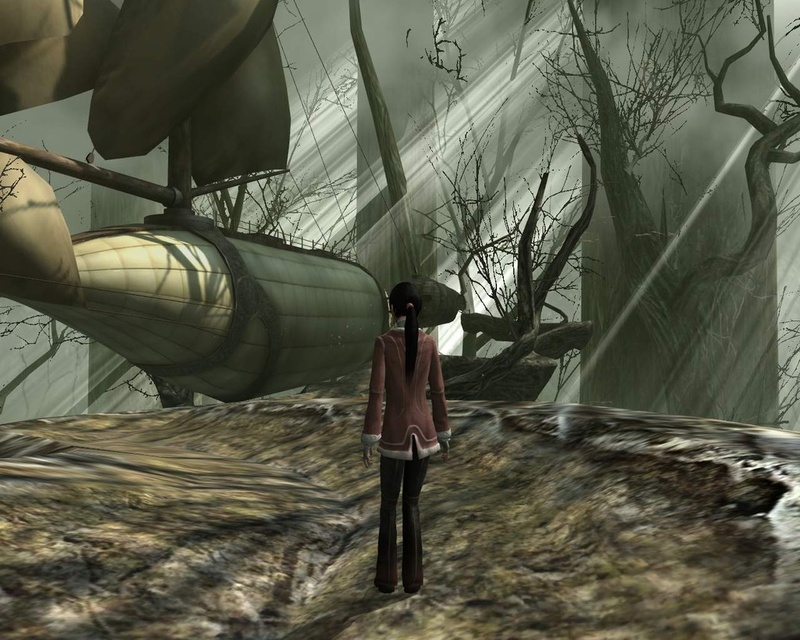 Mysterious Floating Something is basically an action game with a bit of everything. 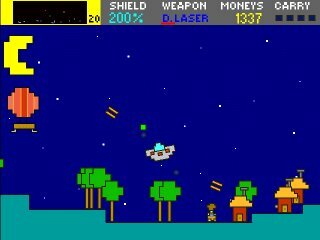 Think Defender, but with the player assuming the role of the aliens out to abduct humans. The objective is to round up four hundred guests for the greatest party of all time. Sounds rather strange, but it gets better. Shooting at objects take a while to get used to, and requires a recharge after each use. Fortunately every weapon can be upgraded to reduce the wait. There are plenty of power-ups to choose from, provided that you have enough money to finance each purchase. 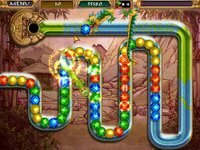 Tripline is a surprisingly fun puzzler by Joakim Sandberg, developer of Noitu Love and the Army of Grinning Darns. The objective of the game is to draw a line across all shapes in each level, but three shapes with the same pattern must first be crossed out in a sequence before another can be engaged. There are sixty pages to flip through. Pretty good for an effort made in three days. A thread conveniently named WaDF2 can also be found in the forum. The third episode of Indie Superstar is out, a show about indie games and developers. 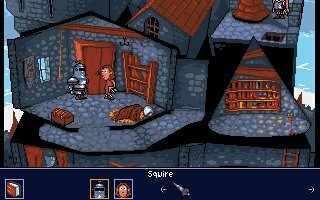 Knightsquire is basically a remake of buloght's earlier one room adventure, with new backgrounds and a complete quest involving the rescue of the king's daughter. Clicking on the portraits allow you to swap between two characters, since certain actions can only be attempted by either the squire or the knight. Items can be passed around to each other by simply selecting an object, then choosing the recipient. Use the left mouse button to interact and press the right mouse button to examine your surroundings. Hints can be found in this forum thread. Pladzma is a shooter developed by RezetiA which features no power-ups to collect. In it's place is a shop that sells weapon upgrades provided that you have the credits to finance your purchases. The download size is rather huge but the game itself only showcases two levels with boss encounters at the end of each. Click on the first picture to download the trial version, and unzip by using the free 7-Zip software. Even though Raiden II is slightly dated, this PC port still has a place in every shmup fan's collection. The introduction of a purple Plasma Beam is a boon, combining the width of a spread shot and the firepower of the blue laser beam. Medals can be collected for bonuses in each of the eight levels featured. The difficulty setting is a bonus for veterans and beginners alike, plus the number of continues can be configured to your liking as well. No reason why this classic should be missed. Forget the flash remake, this version is much more faithful in every way. 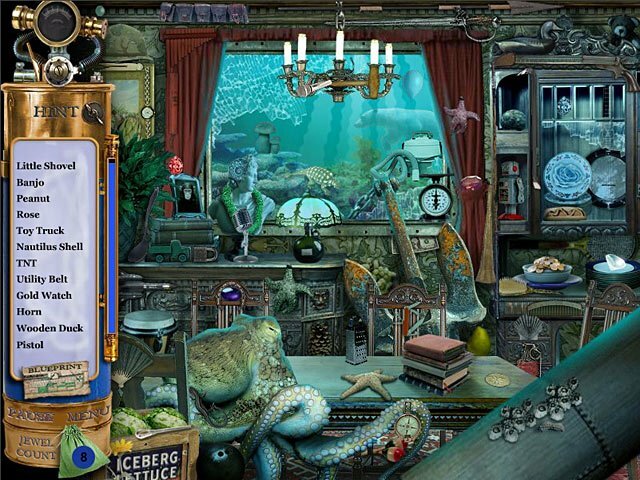 Much like the Mystery Case Files series, the objectives in Hidden Expedition: Titanic mostly involves finding a number of items in each screen from a list on the left. The hint system has been changed slightly for this iteration. Instead of a limited number of usages, a time penalty will be incurred for every clue request. Opinions on whether the original or it's spin-off is better are divided, although there's no reason why both can't be liked equally since the gameplay on offer is practically the same. Both Huntsville and Prime Suspects were previously reviewed on this site. Introversion pushes the release date of Defcon to September 2006. Rag Doll Software releases a new free game, called Rocky the Monkey. 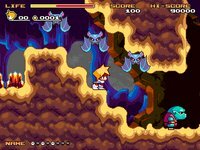 From the wonderful world of Game Maker comes Poyo, a new platforming adventure which took Lazrael only one month to complete. 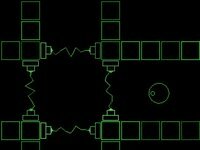 You control the main character using the arrow keys, but most of the puzzles in the game can only be solved by figuring out the proper way to utilize your warp ability. Tap the X key to jump and use the Z key in conjunction with a directional arrow key to dash past traps or activate switches. Press the down arrow key while standing in front of another creature to start a conversation. Instructions are printed on a text file which can be found in the zip package. The F4 key can be used to switch between windowed and full screen mode. Features forty-five levels and six boss encounters. Flapper and Pozzo - Jello Crusade are efforts from the same developer. Both were previously reviewed on this site. 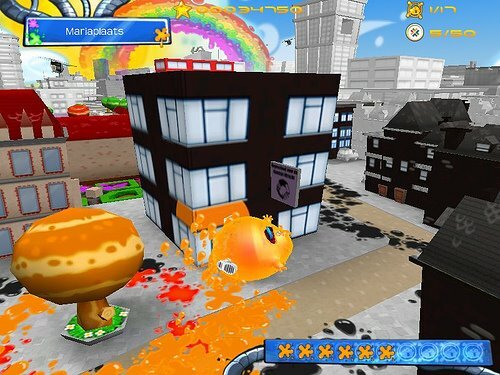 The Blob is a school project which might be partially inspired by Katamari Damacy. No prince or King of the Cosmos here, but you're given control of a ball which has the ability to absorb other colored inhabitants of the city instead of making them stick to it. Use the mouse to move the blob around and left click to jump. Once you have gathered some paint, then it's off to color the entire city at your whim. There are some objectives to complete, for example painting seventeen landmark buildings and collecting all fifty coins but it's mainly about having fun within seconds of picking the game up. You might need a small powerhouse of a machine to play this one, with a 2GHz processor and 512MB RAM worth of memory stated as minimum requirements to qualify for a decent framerate. 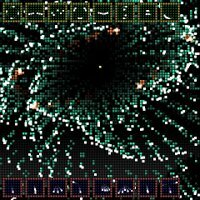 GROW nano ver.0 is the latest release by Eyezmaze, which appeared on the web site shortly after putting out his version of Solitaire. 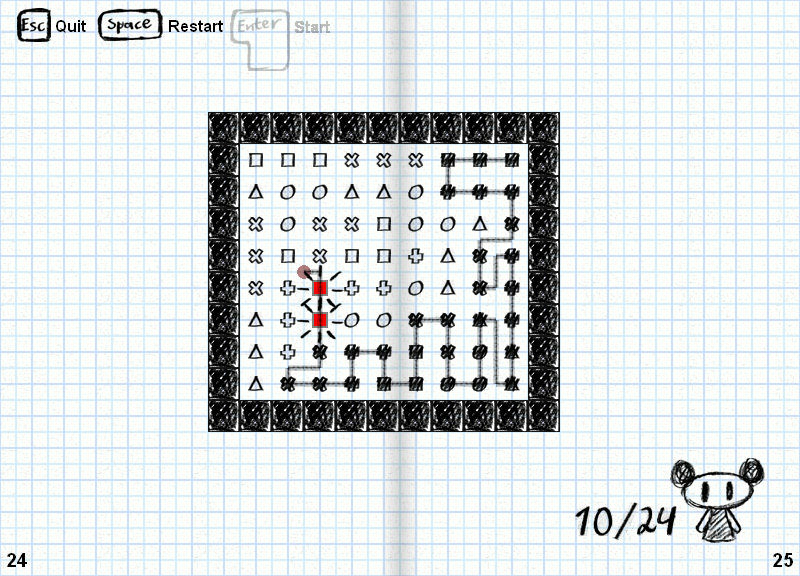 To play just click on the red circles quickly, in order to build the entire structure before time runs out. Requires a high resolution display in order for it to appear correctly, else switch your browser window to full screen mode before starting. 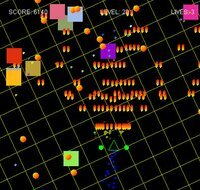 Omega Void is an alright game where the objective is to guide a yellow dot from the starting point till the end without touching any of the walls or obstacles. Consisting of forty levels, this particular effort isn't too bad although the music is pretty good. Next review: A Cave Story-like platformer featuring fifty levels, called Poyo. Don't play The Shivah! Well at least wait until you've read this. Read a recent Roberta Williams interview here. Pictures included. 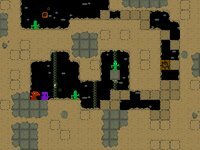 Retro Future is a pretty fun shooter by cactus, in which you control a gray object hovering above a city quite like the one featured in Shade. Use the W, A, S and D keys to move the ship around. Switch between primary and secondary weapons by pressing the E or Q key. 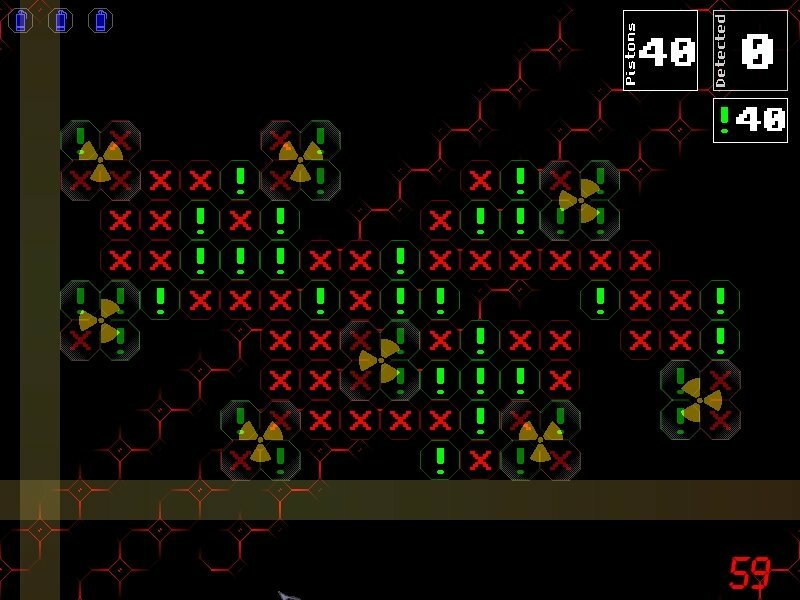 On the lower left section of the screen is an indicator keeping tab of your score and the amount of seconds you have left to destroy all enemies in the current wave. 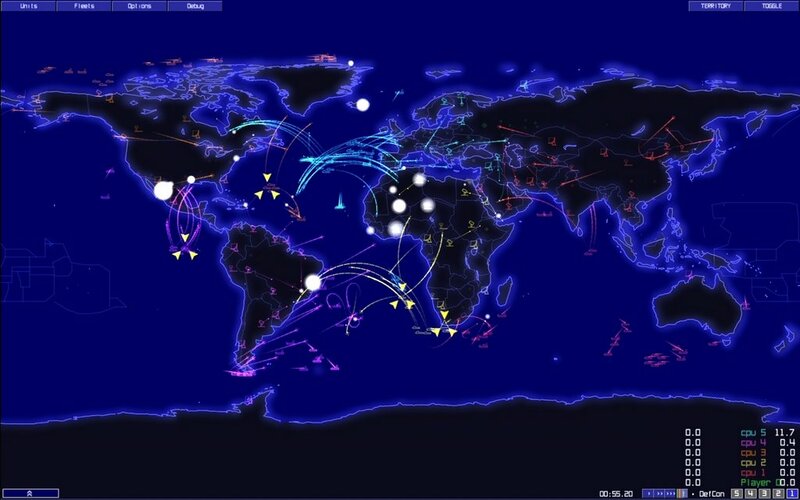 The game ends if your ship collides with another object as well. 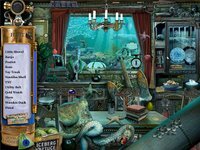 Sven Gordan Paranormal Parody is a game made using the storyline and locations from the first Ben Jordan release but with new dialogue and graphics. Hold down the left mouse button to bring up the verb coin for a choice of action. Left click to walk and right click to access the inventory screen. Press the F1 key for the options menu. 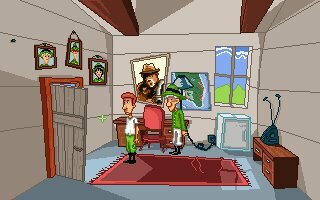 Buloght continues to impress, producing sprites and backgrounds similar to the ones found in earlier LucasArts titles with little effort. A Knight's Pursuit is probably buloght's shortest game, with all events occuring in one room. As Sir Bredd the noble knight, your objective is to grab the royal robes from the chest before going off for an audience with the king. Puzzles are relatively easy but having separate inventories for both knight and squire can be a tad confusing at first. The original download link no longer works, but you can still get the file by clicking here. 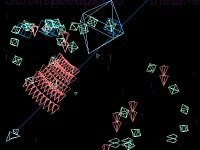 Java is quickly becoming the platform of choice for shmups featuring vector shapes. 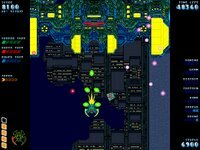 In Lash, your ship has a laser beam that can be used to destroy enemy bullets which are green in color and cause some damage as well. Press the Z key to shoot and hold the X key to fix your laser aim in one direction. 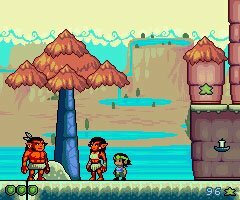 The game contains five stages in total but requires Java installed to run. From the same competition that brought us fuzetsu comes Alpha Shot 4K by kappaOne. 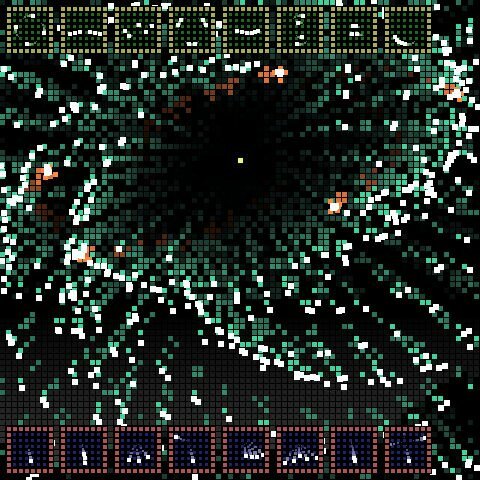 Press the space key to shoot and collect power-ups from enemies which you have destroyed to increase your ship's firepower. The primary weapon can be upgraded to level fifteen. Simple but surprisingly fun, considering it's small download size. Requires Java 1.4 or better to run. 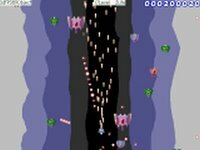 Retro II is a pretty good vertical shmup by cactus showcasing the use of simple vector objects and limited colors. Press the Z key to shoot, and tap the X key repeatedly to launch bombs. Weapon upgrades in the shape of the letter U can be collected to increase your ship's firepower. Intercept is the latest offering from Perfect Run, featuring a gameplay system much like the one found in Hizoka Ohkubo's Warning Forever. 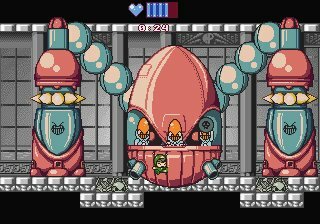 The objective is to defeat the boss in each round before time runs out, forcing you to chase after the mothership while dodging all manner of projectiles. Time is displayed on the right in blue, together with the enemy ship's status and weapon level. Players can determine the opponent's strength and weaknesses with just one look. Status indicates the amount of damage you have inflicted on your adversary. Press the Z key to shoot, and swap weapons by using the X or C key. Each can be upgraded by collecting power-ups which appear after an enemy ship is destroyed. 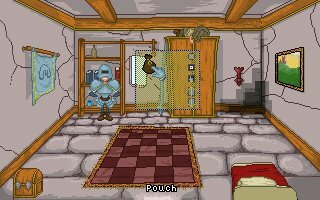 Duty and Beyond is an AGS effort which took Wandering Adventures three months to develop, and much like Gamma Bros it features characters and objects made out of small pixel counts. You assume the role of Piet the pizza delivery guy on a quest to earn some additional pocket money during his working hours. A peculiar order takes him to a mysterious mansion with the owner nowhere to be found. Kudos is the latest release from Positech Games, in which you get to assume control over the social life and career choices of a Sim, sorry, your avatar. The registered version allows play from the age of twenty to thirty, and each turn is equal to one full day. Demo is limited to twenty-eight turns. There are plenty of things to do, but most are only available if you have the sufficient financial resource. You can work and carry out one activity on weekdays, although no work is done on weekends. Getting laid, wasted or both are optional activities in this game, minus the hassle of ending up with kids. 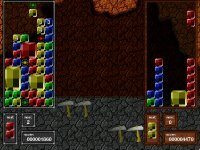 Dynasty is Nevosoft's latest addition to their growing stable of casual puzzlers, although this has a slightly different control scheme when compared to the rest of the matching games available. 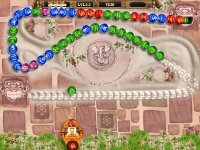 You guide the movement of the dragon with your mouse and swap balls from the queue by clicking on the left mouse button. Adjoining balls of the same color are removed if a match of three or more are made. Can't help but feel that Nevosoft may release another effort using the same engine sometime soon. 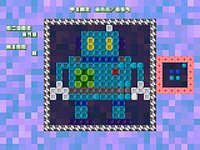 Natto-Cat is Aaron Maupin's remake of the classic Boulder Dash for the C64, featuring a cyborg cat from the future named RB51. Your mission is to steal cat snacks from unsuspecting cave rabbits and volatile custards which explode on contact. The pref.txt file can be edited to run the game in full screen mode. Menu items can be selected by using the control key, although a joystick is supported as well. Press the escape key if you find yourself trapped by the giant dried plums. There's a new downloadable show on independent releases called Indie Superstar, produced by Dejobaan Games. The omission of Shoot the Core and the2bears was rather strange, but we're glad they managed to squeeze us into the five minute show! For podcasts, drop by StuffWeLike and Planetfreeplay. 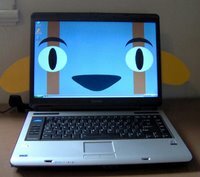 Get your own Balrog wallpaper from the Cave Story LiveJournal. Andrew Wooldridge is working on InfiniQuest. Rag Doll Software will be releasing Rocky the Monkey soon. If you have the time, please drop by Puppy Games and leave a word or two of support. PEKPOK's games can be downloaded by clicking on the link in white found just above the banners. Scroll all the way down, then select the link that will take you to the Vector site. The handy but sparse FAQ contains instructions on how to navigate Vector and find the files to download. Yohsaku is an action game about a lumberjack skilled in martial arts. Instead of using machinery to chop down trees, your character has to punch and kick at just the right angle to cut them in half. The animals don't agree with your action much, hence setting out to stop you in any way possible. Knock them out by timing your attacks carefully. Use the X key to punch, or press the C key to kick. 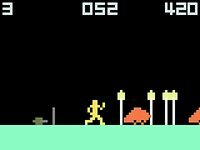 An odd tribute to Karateka with Pitfall-like graphics. 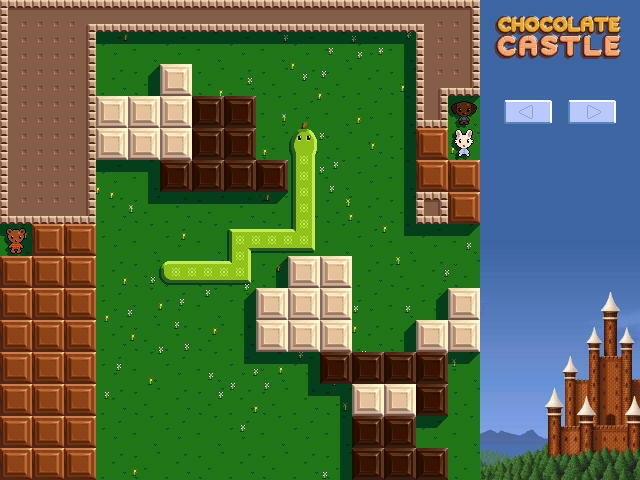 Color Puchi is a decent puzzler by PEKPOK, which looks like Pixelus and Guru Logi Champ at first glance but plays quite differently when compared to those two. The square on the right dictates the pixel arrangement that you have to look for in the picture. Move the target frame around by using the arrow keys and press space when you've found it. There's an option to challenge either the CPU or another player, but the demo only features one level. 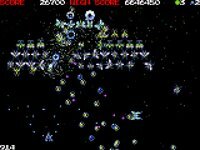 Galamoss Arrangement is an updated version of the original Galaxian remake by PEKPOK, featuring a smaller screen and the barrage option which can be selected from the main menu for some bullet dodging practice. Your ship's color can be changed by pressing a different button to start a game. Press the C key to shoot and tap the Z key to launch a bomb. 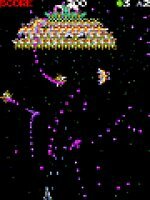 Galamoss is a decent Galaxian remake by PEKPOK, featuring updated 2D sprites and faster gameplay. Your weapon can be upgraded by collecting power-ups, but the trial version only features four levels and one bonus round. Scroll down for the Vector download link, which can be found just above the banners. 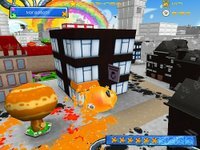 Twinkle is an alright Game Maker production by Dark Sirrus featuring excellent use of special effects, although the novelty wears off rather quickly since it was originally made with short bursts of action in mind. 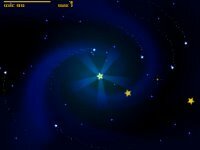 Your task is to destroy all stars as they appear on screen or risk collision with these celestial bodies, which seem to gravitate towards you at an alarming speed. 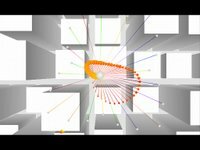 Move the mouse around to aim and left click to fire a beam of destruction. The game ends when all health is depleted. That's about it really, although the developer promises a sequel with plenty of new features to be released in the near future. Warning: Contains strong language and graphic scenes. The Farm is an interesting effort by Benedict Webb that is marred by several problems, mostly related to it's clunky interface. Similar to Amanita Design's Samorost series, graphics and backgrounds are made out of hand-drawn sprites and high resolution collages. The story begins with a video cutscene which sets up the story really well. 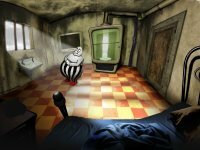 The scene then shifts to a dark cell, where you must help the protagonist escape from his mysterious captors. Either the L, I or T key need to be pressed for any sort of interaction with objects and items. It's quite disappointing that a right click option to cycle through your choices wasn't implemented in this version, although the author had promised a change in future episodes. Hints can be found here. 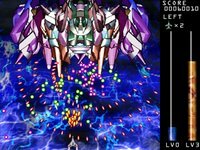 Shoot the Core updated it's massive shmup database with 24 new entries. Also, thanks again to Shih Tzu for translating Buster's latest post. Buster writes, "Due to various circumstances, BUSTER's sale at the Daisou shops had to be cancelled. Instead, I'll be releasing two versions of the game, a 'Free' version and a 'Download' version. The price for the Download version hasn't been decided yet." New screenshot over at Buster's site, but no downloads yet. July edition of the Adventure Lantern launched, a free downloadable PDF magazine spotlighting adventure games both commercial and indie. 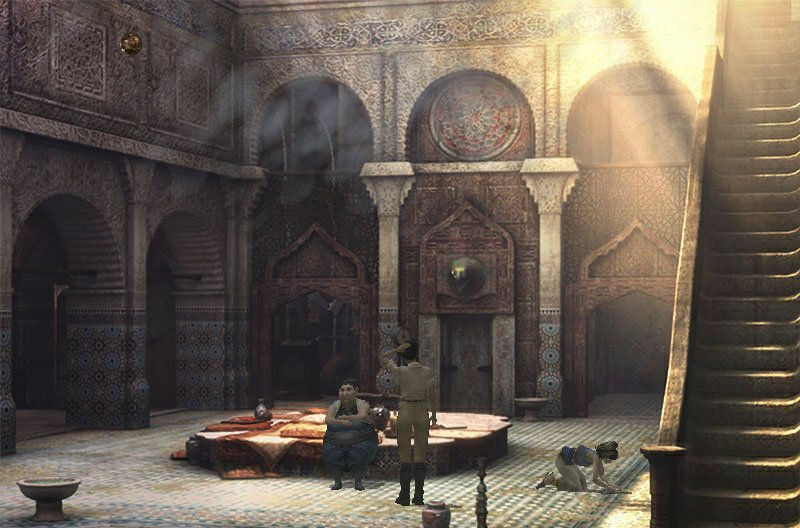 Adventure Europe recently posted an interview with one of the developers of Al Emmo. oddbob is currently posting about remakes on his blog. Dangerous High School Girls in Trouble will be released by Mousechief sometime in early 2007. White Elephant has a new contest going on. First prize winner gets a cool fifty. Slash the Building is an incredibly fun competition entry by Liku, featuring a stick figure with a sword and plenty of structures to demolish. Like saturday morning cartoons, your blade can slash brick walls with ease by pressing the Z key rapidly. Some parts of the building are reinforced with gold plating, requiring more hits than usual. Aim for the gray areas by moving your character around using the arrow keys. Tap the up arrow key to jump and gain some altitude, or hold the down arrow key to block any falling objects. As noted by Shih Tzu (thanks! ), press the X key to execute a super move when the power meter is full. Scroll all the way down to find the download link. 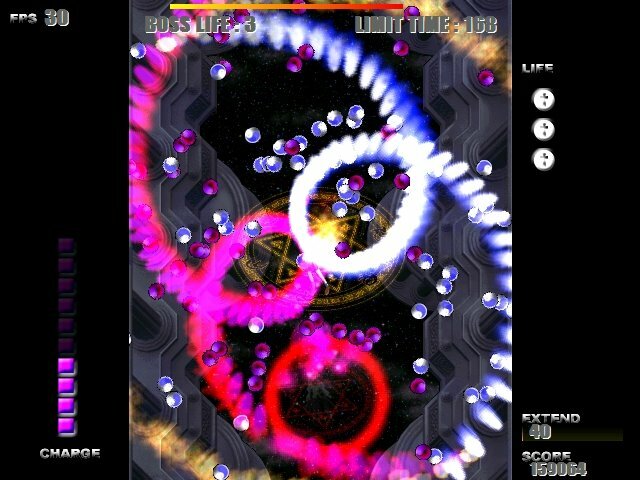 Light-Z is another decent shooter developed by Liku. Although it shares the same name as it's flash cousin, this effort does feature 2D sprites, more detail and longer gameplay. Gain experience by destroying enemy ships to upgrade the special attack. Use the C key to choose the active secondary weapon, and hold the X key to reduce your ship's movement speed. 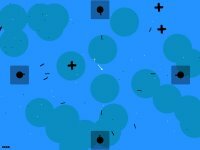 Scratch enemy bullets to retaliate with double the firepower. 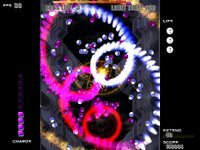 Light-Z Flash is a decent shooter by Liku, featuring abstract shapes quite common in a number of Japanese freeware releases recently. There's a time limit which you can temporarily pause by destroying enemy ships, and scratching bullets will launch shots with the ability to chase down any harmful objects.